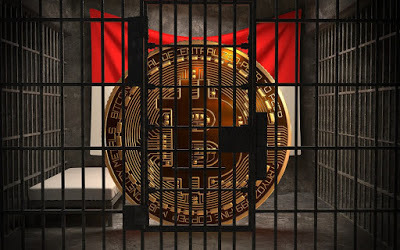 Due to the fact that the transactions of crypto(bitcoin and the rest) are not monitored by any government or financial institution, many of its users are of the opinion that it is untouchable. But in reality, cryptos are not untouchable as there are various activities that can influence the crypto-currency market. The simple fact still remains that the market price and value of crypto-currency is driven by the increasing demands for these currencies. So whenever there is a threat to it’s validity in any country there is likely going to be a shake in the value of these currencies. Take for example, when bitcoin was just a little above $7,000, china announced that there is going to be a regulation in its country to check the activities of crypto in the country. Media came out and said China which was the then giant of bitcoin trade in the globe is going completely mute and stopping all bitcoin transactions in the country. In Less than 24 hours, the price of bitcoin fell some 35%. Recently, when bitcoin was around $15,000, South Korea announced there is going to be a regulation regarding the use of crypto in the country. media as usual came and made some exaggeration and some 24 hours later the price of bitcoin fell some 45%. The point is, bitcoin and the rest cryptos are not immune to external threats. So don’t use bitcoin thinking your investment is very safe. Just as a word of advice, learn to cash in your bitcoin. Follow us on Twitter and Instagram @mntrendsblog for latest updates. Also like us our Facebook Page “Mntrends Blog”. Next articleA Fall in Bitcoin Price Equals A Fall In Other Crypto?